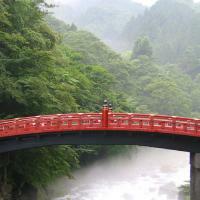 Discover the enchanting city of Nikko on an adventure from Tokyo with a like-minded Local Host by your side. Just a few hours away by train, this magical city is nestled amongst mountains and lakes, and borders the stunning Nikko National Park - you’ll feel a world away from the hustle and bustle of Tokyo. A treasure chest of sacred Buddhist and Shinto shrines and temples, breathtaking natural landscapes and waterfalls, a UNESCO World Heritage Site and beautifully preserved historic sites from the Edo period, you’re spoiled for choice when it comes to choosing what to do. Discover the region’s rich culture and as you visit the iconic Toshogu Shrine, the ornate Taiyuinbyo Shrine, the Rinnoji Temple, and then take in the astonishing landscapes of the area as you visit the Kegon Waterfall or Lake Chuzenji. As well as its important cultural sights and natural beauty, Nikko is renowned for its hot springs, known as ‘onsen’, sake breweries and its delicious regional cuisine, so you’ll also have the opportunity to sip fresh sake at a local brewery and indulge in a lunch of the city’s delicacies like ‘soba’ and ‘yuba’. Your host will organise your train tickets from Tokyo, and will create a bespoke itinerary for you to enjoy once you reach this enchanting city that’s tucked between mountains and lakes on the border of the Nikko National Park. If you’d like to make the most of your time outdoors, your host will create the perfect outdoor adventure for you which takes in the stunning natural beauty of the National Park. See two of Japan’s most stunning waterfalls; the Ryuzu Waterfall is renowned for the beauty of its autumn leaves and the Kegon Waterfall is regarded as one of the most beautiful in all of Japan. You could also stroll or hike along one of the trails which wind their way up the Hangetsuyama Mountain, or along the shores of Lake Chuzenji. Nikko is also famous for its historic sites which date back to the Edo period, and for its culturally significant Buddhist and Shinto shrines and temples. Discover the lavish Nikko Toshogu Shrine, a UNESCO World Heritage Site which was built in 1617 during the Edo era, and is known for its bright colours and the iconic Three Wise Monkeys which are carved into the shrine. See the ‘shinkyo’, or sacred red bridge which crosses the Daiya River at the entrance to the Futarasan Shrine, the ornate Taiyuinbyo Shrine and the Rinnoji Temple. With so many sacred religious sites to discover, your local will recommend the ones you’ll most enjoy seeing. Of course, you’ll want to taste some of the local speciality dishes while you’re here! Nikko is known for its ‘soba’ (buckwheat noodles) and ‘yuba’ (tofu skin), so your local will take you to an authentic local eatery where you can enjoy these delicacies as part of a traditional ‘yuba gozen’ set meal, or recommend a restaurant if you’d prefer to try another specialty like tempura! If you’re interested in sake, Nikko is the perfect place to visit a brewery and sample fresh sake as well as learning about how its brewed. With so much to see and do in Nikko, your host will design an experience which takes in the famous sites you’d most like to see, blends some beautiful natural landscapes into the mix and of course includes tasting the local specialty dishes and sake. * Perhaps you’d like to visit a sake brewery and learn how the rice wine is brewed before you sample some! We had a fantastic time in Nikko with Fulvio! He was a fantastic host for our trip. 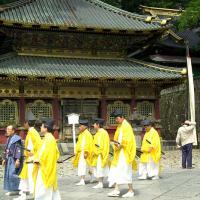 Fulvio was very knowledgeable about Nikko and the sites. It super nice and super pleasant to spend a day with him - we had great conversations. We will definitely see him out again on out next trip. The highlight was the sake brewery visit!